The whistleblower said he was disturbed by the failure of the anti-graft agency to pay him the reward for exposing the loot. The whistle-blower behind the discovery of $43.5 million, £27,800 and N23.2 million at No. 16 Osborne Road, in Lagos is not happy with the EFCC. Just like the drama and surprises that trailed the discovery of cash, the Economic and Financial Crimes Commission, EFCC and the whistleblower are not in good talks. The whistleblower said he was disturbed by the failure of the anti-graft agency to pay him the reward for exposing the loot in accordance with the whistle-blowing policy of the Federal Government. 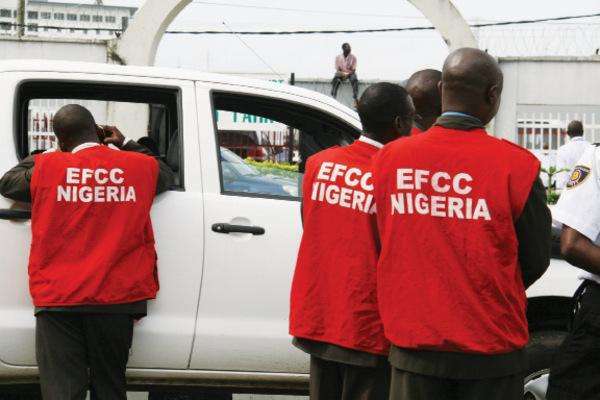 The whistle-blower, through his lawyer, Yakubu Galadima, told Premium Times that the anti-graft agency moved contrary to claims by the Chairman of EFCC, Ibrahim Magu that the person had been paid. This is coming following Magu's statement at the 7th session of the Conference of State Parties to the United Nations Convention against Corruption. While puncturing the claims that the whistle-blower had become a millionaire, Galadima said his client had been subjected to unfair treatment despite heeding the call to expose looters. Galadima also said the inability of the commission to pay his client the reward after the forfeiture of the money made him to start shouting that he needed his money at the Department of State Security Service, DSS, apartment where he was kept. Galadima said: “The day we went to the office of the then Acting President, they gave him a number that he could reach at any time. So he has been communicating with the Vice- President. Following the threats, they detailed some SSS to be working around him. “Because the guy had always been looking forward to seeing this money and it wasn’t forthcoming, he started shouting. When he started shouting, they said he was mad, that he is having a mental problem. “The SSS people called me and said I should come and carry my luggage. They brought him to the EFCC and abandoned him there. The EFCC people called me that I should come and carry my client. "On getting to the commission’s office, I was informed of my client’s mental illness and plans to take him to the Federal Neuro-Psychiatric Hospital in Yaba. “I said he is not mad, that it is because you people are holding his money that is why he is reacting this way. They insisted that the guy was mad, that they had to take him to a psychiatric hospital. They bundled this man. I said ok if that is how to prove that he is not mad, no problem. We went to the psychiatric hospital in Yaba. “They injected him and said they have to monitor him for a month. They monitored him for a month. The day they were going to release him, the EFCC called me again to come and carry my “critical asset. A letter to the President Galadima further disclosed that he had written a letter to the President demanding that the boy be paid his money. Galadima also dismissed reports that his client would receive N350 million reward, saying that the actual figure was N850 million. The Spokesperson of the EFCC, Wilson Uwajuren is yet to respond on why the whistleblower had not been paid his compensation.